Berlin (Kantine am Berghain), Toronto and Budapest (Sziget Festival). Single Lightheaded released in August 2017. 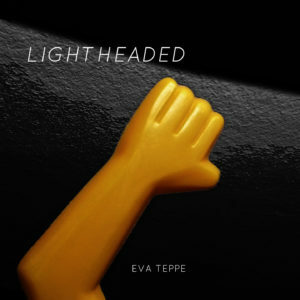 Eva Teppe is a visual artist and a self taught music producer from Berlin. Teppe’s solo debut live performance in Tokyo (Dommune), was followed by Live sets in Techno clubs in Tel Aviv, Berlin, Toronto and Budapest (Sziget Festival). Her visual works are shown internationally and participated in Festivals such as Transmediale Berlin, Ars Electronica, IFFR Rotterdam, Ars Sublimis, Orensanz Summer Museum, New York City, FACT Liverpool, Der Traum vom Fliegen at Haus der Kulturen der Welt, amongst others. EVA TEPPE co-composed 2 feature films, which premiered at the 67th Berlinale.